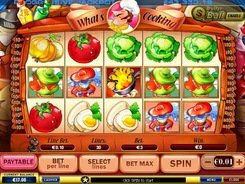 Chinese Kitchen is a three-reel eight-line video slot game. This stunning machine transports you to a Chinese restaurant where you can help a professional chef cook his signature dishes from snails, frogs, turtles, octopuses and other weird ingredients. 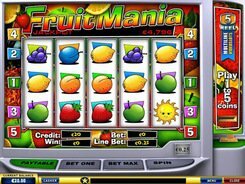 A special feature in this slot is that you can bet on any number of paylines, and they should necessarily start from line 1 and go in succession. For example, you may choose to engage line 2, 5 and 6 only, and the like. 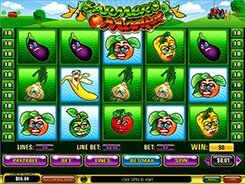 Winning combinations are formed by 3 matching symbols on an activated payline, except for the crab that pays out in any quantity starting from one. 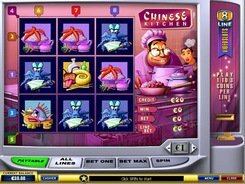 Chinese Kitchen goes without Wild Symbol, Scatter Symbol, bonus rounds and free spins. 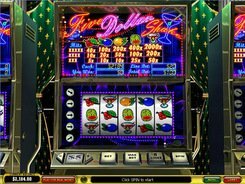 Even so, many gamers find it absolutely incredible because of its stunning design and a 1000-coin fixed jackpot awarded for hitting three turtles. 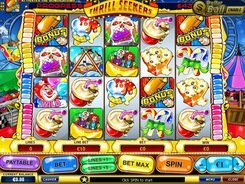 You may bet up to three coins per spin. The maximum wager is $120. PLAY FOR REAL MONEY!